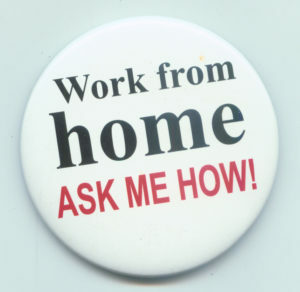 When it comes to work from home jobs, there are plenty ways to earn money from home. Either it can be through working for work from home websites or freelancing or starting your own small business online. In this article, we intend to provide you all the different ways in which you can earn money online working from home. We will update this article whenever necessary when the work at home websites update their terms and conditions and new websites arise which pay good money for doing part time jobs online. In our effort to provide the best Work at home jobs, We will try to update with genuine work from home jobs as and when and feel free to update us on contact page if you find any website that is down or stopped providing work from home jobs. We welcome information on new part time job providing websites which are genuine. Get-Paid previously Gptreasure is one of the best paying website which gives you opportunities to earn by taking surveys, doing small tasks, doing data entry jobs and many more. In Get-Paid you earn money through coins and you can check out through paypal. Izea is one of the best part time job provider website which provides opportunities for writing articles in your blog, or tweet using your twitter account, or share Youtube videos and share advertisements in your Facebook Wall. If you have good amount of social media friends or blog readers and have influential power, Izea is one of the best platforms to earn good money. Izea is having reputation to link up with big brands and you can be part of the bigger network. Izea pays through paypal for your earnings. There is also affiliate earning system in place. No registration fees for joining. Micro Workers is one of the best paying website for bloggers, website owners and people having many social media friends. This website not only provides short tasks like sign ups, social media link submission but also provides opportunities like writing blog reviews. This is one of the best websites for beginners and work from home moms to to earn money from home. This website also provides SEO related works and blogging related jobs. Microworkers is mostly used by website owners and bloggers for getting reviews for their website. If you have good search engine rankings for your website or blog, then microworkers is best for you. Minimum payout is 10$ and they pay through paypal. Short Task is micro job website where job providers (Seekers) and people looking for Work from Home Job (Solvers) meet together to get and solve the work being provided. Generally short tasks in this website include craig list posting, write articles, social media submissions like Facebook likes, Twitter tweets, following some one in twitter etc. These tasks are very easy and can be implemented very easily. However Short task is one of the best work from home jobs site for US residents as there are more jobs posted for US residents. Minimum payout for short task is 10$. If you are familiar with micro work related tasks, this is one website for you to do some part time job works. Mturk is the leading work from home jobs provider that is in Internet today. Even though this site has been added at the middle, this site is the number one website for providing short tasks. There are hundreds of short tasks available in mturk every day. Millions of part time job seekers use mturk every day to earn money. One of the best work from home jobs sites from Amazon. There are different variants of work from home jobs and short tasks available in Mturk. Some of examples are participating in surveys, writing articles, social media submissions, video transcription, adding valuable ideas and suggestions, blog and website back links, blog reviews etc. Indians can utilize this website very well as they pay in Indian Rupees as well. They pay through check and also through transferring amount to amazon gift card balance which can be used to purchase products in Amazon.